Mark your calendars for the Membership Meeting, February 16, from 1:00 PM to 3:00 PM. Note that this meeting is NOT in the Madera Clubhouse Ballroom, but it is in Kino Conference Center. Enter through the Mesquite or Occotillo Room doors. We will discuss and approve the 2017 budget, discuss our capital equipment request, and vote on some proposed Bylaw changes (see below). Feedback on the ladder format for Round Robins will be encouraged. If there are other issues that you wish to discuss, please send them to our President, Jean Bustard, jeanb@dcmesa.com, in advance of the meeting. The Board proposes adding a new category of membership for players who are here temporarily. This would include family and guests of Quail Creek residents and short-term renters. The reason for this is that visitors often want to participate in Club activities, such as Club Open Play and the Round Robins, but they are not permitted to do so. This new membership category, Associate Membership, would allow such people to participate on a short-term basis. The Bylaw change is below with the red portions proposed as additions to the Bylaws (the portions in black are our present Bylaws). We will vote on this change at our February 16 Membership Meeting. Those eligible for membership in QCPC shall be amateur players, who: 1) are Quail Creek property owners or renters in good standing or 2) have placed a down payment to build a home in Quail Creek. If, for any reason either they, or Robson Community Incorporation (RCI) cancel the contract, their membership in QCPC will be terminated immediately. Dues will be paid annually at the rate set by the QCPC Board. There are three classes of membership: Full Members, Associate Members and Social Members. Full Members have voting privileges. Associate Members and Social Members will pay 50% of regular dues. Associate Memberships are available for those who are house guests or family members of Quail Creek property owners or short term Renters. The Associate Membership is valid for 30 days from date of payment. Only Full Members whose dues have been paid for the year and Associate Members whose dues have been paid for 30 days may participate in Club Sanctioned activities, Assisted Play, classes, clinics, and other activities as specified by the Board. Those participating in social events must be Full Members, Associate Members or Social Members. When you use something from the storage box on the pickleball courts, please remember to return whatever you've borrowed from the box and lock it before leaving. It was found unlocked earlier this week. Remember, the combination for the lock is 1461. When unlocking it, you need to press it down once you've dialed the combination. 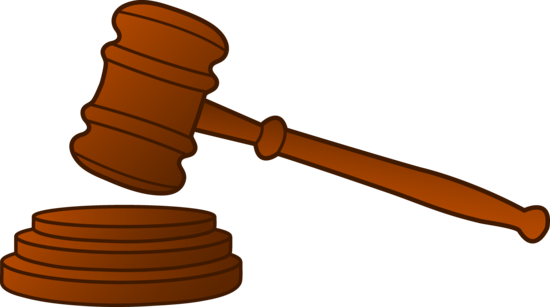 We need an individual to help with court management. This committee is responsible for keeping the sleeves filled with balls, reporting problems with court maintenance to the Committee Chair, and generally keeping the courts in good playing condition. Contact Jean Bustard, 303-921-8139, jeanb@dcmesa.com if you are interested in helping others on this committee. Quail Creek will be hosting several tournaments in the upcoming months and all courts will be closed from 7 AM to 5 PM on those days. The Fireman's Tournament is February 17. The Senior Games are March 8-10. There are links below for our members to volunteer to help with the Senior Games. The Quail Creek Classic (a new tournament to benefit St. Jude's Hospital) will be held on April 1-2. Mark you calendars to participate in the tournaments and note that you won't be able to play regular pickleball on those dates. The Senior Games will be held at the Quail Creek pickleball courts on March 8-10. This is a great opportunity to show off out courts to a large number of pickleball players. Volunteers are needed to help with registration, posting game outcomes, and many other things. Referees are also needed. We have had a great response from out members to help out in the past. If you are willing to volunteer your time for this event, please click on one of the links below and sign up to help out. 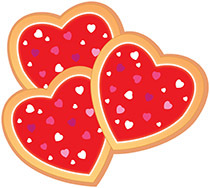 In addition to our Valentine's Social on February 15, Club Socials will be held on March 15, April 19, and May 17. We need volunteers to coordinate these socials. This involves setting the time for the social, planning the pickleball activities, and deciding on the types of food the purchase or request from members. Volunteers work with our Social Chairperson, Sandy Veydt, to organize these socials. Please volunteer to help with a social by contacting Sandy, 520-300-6525, sandysway88@gmail.com. Assisted play will be offered on Mondays from 2 - 4 PM for beginners who are Club Members and who have taken a beginning lesson. This isn't a lesson, but more experienced players will help beginners with various aspects of the game and give them pointers for more successful play. The first hour will be assisted and the second hour will allow beginners to play pickleball. Please sign up, so we know how many to expect and how many experienced players will be needed. Click here to sign up for Assisted Play on February 13, 20, or 27. Please join us at the Pickelball Court Ramada for a round robin and social followed by a light brunch. The club will provide coffee and donuts. You will have a chance to meet our new and returning Pickleball friends. We will have round robin play from 10:00 until 12:00. Sign up will be starting at 9:30. There will be 56 players and you must sign up for yourself. Please sign up on SignUp Genius to play and to bring fruit, snacks, eggs, or juice, or to help out. QCPC Club members are invited to participate in advanced mixed doubles play on Saturdays from 9:00a.m.-11:00a.m on courts 1, 2, 13 and 14. Just show up at the courts about 10 minutes before the game is to begin. Both members of the couple should be approximately 3.5 or above in order to participate. Thanks to QCPC Board member Karen Morse, we now will have a calendar available each month. Click on the tab at the top of the website, or click on the button on the top of the newsletter. This calendar lets you see everything that is going on at a glance. A new Selkirk paddle was found after the Round Robin on Friday. If it is yours, please contact George Mynatt, qcplayspb@gmail.com. If it isn't claimed soon, George will take it to the lost and found at the Concierge Desk.